At Gross Schechter, we promote Jewish values for life with our students by encouraging tikkun olam (repairing the world), tzedakah (social justice) and chesed (acts of loving kindness) from the earliest ages. One of the ways children learn is by modeling behavior they observe in the classroom and at home. 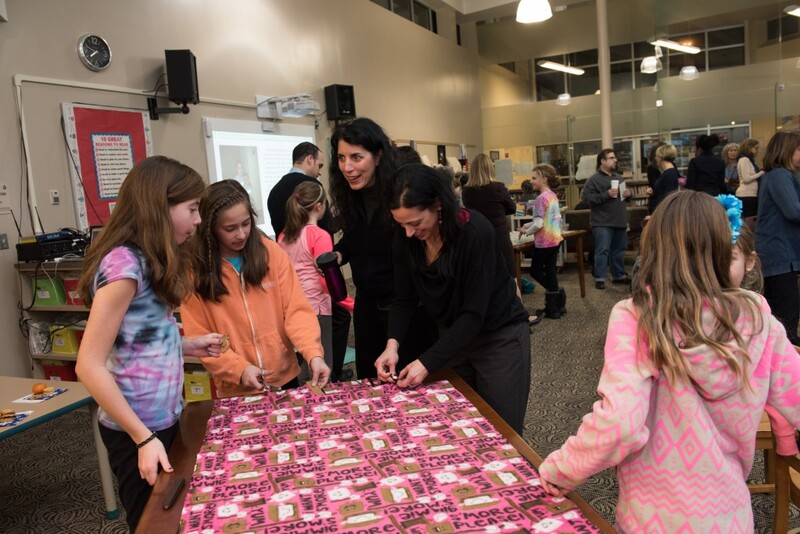 Parents’ volunteering with Kehillat Schechter is a terrific way to bring these values to life for your children. With opportunities in the classroom, on the weekend or even from home, meeting your family’s 15 hour requirement is now just a click away! We have opportunities to meet every family’s busy schedule. Count box tops! Please see Ben Christ in the front office for more details. For more information or to sign up for any of these events, feel free to call the main office at 216-763-1400. Log your volunteer hours here to get credit for your parent engagement requirement. Please select all of the different types of volunteer activities you have completed. You may select more than one. Please itemize each volunteer activity and tell us how much time you spent on them.